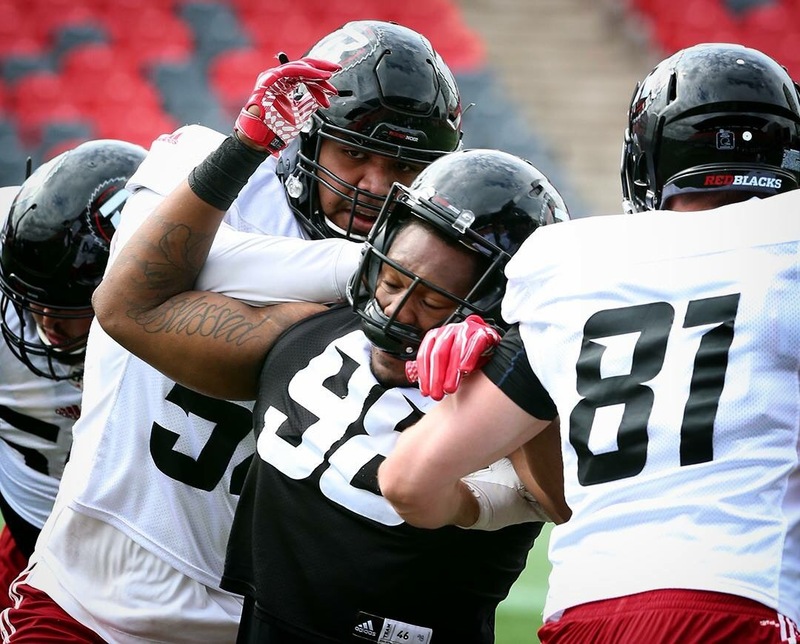 Redblacks Training Camp battles – De-fence! I hope #RNation has enjoyed its post-championship glow, because life moves fast and the win-loss columns are all about to be set to zero. While some familiar Redblacks have left (or not been asked back), the team is looking strong. Starting with the defence, today is the first of two position-by-position breakdowns of who is gone, notable newcomers and what to watch for through the balance of training camp and the pre-season. I’m not happy to see Moton Hopkins gone, partly because I had to re-write this section. 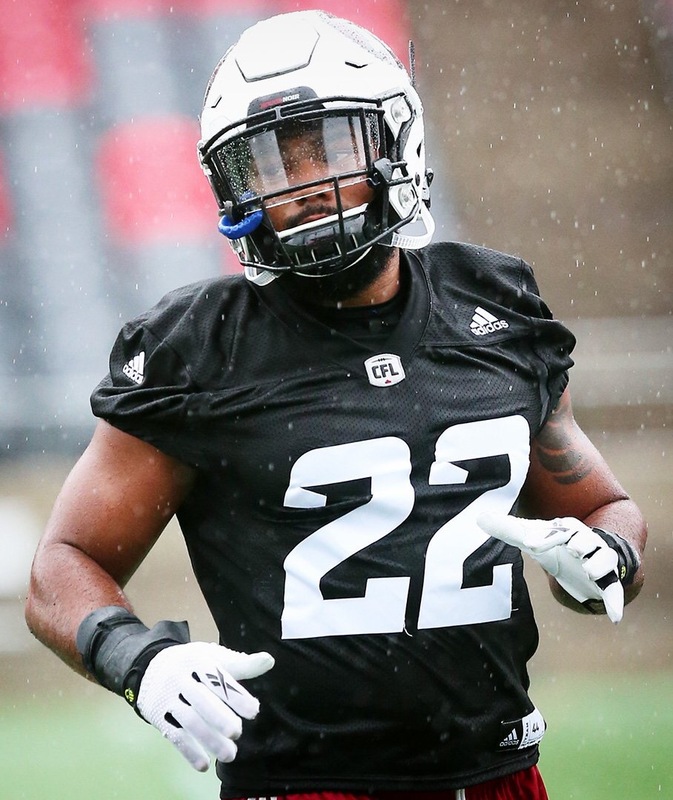 The Redblacks depth inside is blown up – for now, and DL becomes a bigger question mark than it was just a couple of days ago. Expect the Redblacks to do some shuffling to figure out where people are going to settle. Landon Cohen likely has an inside track on the 0 tech NT slot with Hopkins gone. Jake Ceresna who was at Redblacks camp in 2016 until breaking his leg is back. He has impressive size, we’ll see how he does in his second shot at the pro game after coming out of a very small school/division where play appears on par with CJFL. Ettore Lattanzio should continue making more than his share of plays as depth DT. Before Hopkins’ retirement, the big question was at DE. The Redblacks have brought a lot of guys in since Aston Whiteside’s injury, and none have really stuck. Jason Ankrah has caught my eye, we’ll see how he does over the next few days. Another possibility at speed rush DE is Avery Ellis out of Temple. Both will need to be evaluated closely in contact drills and live action. One wild card inside is Eli Ankou. The UCLA DT was snapped up by the Redblacks in the 4th round. He would have been an early first round CFL pick, but was signed to a priority free agent contract by the Houston Texans following the NFL draft. However, we now know his rather low signing bonus/guaranteed money ($20k) means the Texans perhaps aren’t that high on him. We might see him in Ottawa by September. NOTE: I’m going to follow up on the DL situation once I get a longer look at practice, Saturday’s scrimmage and the first pre-season game. There was a fair bit of shuffling of the LB corps in 2016, and each step was an improvement. The Grey Cup starting trio of Muñoz, Reed and Jerrell Gavins have been split up, with Muñoz released and Gavins now shuffled back to his more natural DB position. Joining Reed is Bass, who made an impact in two seasons with the Blue Bombers. He is a legit CFL rising star and gives the Redblacks one of the strongest 1-2 LB punches in the league. The question is at the hybrid LB/DB position of SAM or strongside LB. Largely a pass coverage role, it was Antoine Pruneau’s job until he was moved back to his more natural FS position. Gavins slid into the role where he was a big contributor through the team’s Grey Cup run. Departures in the secondary during the offseason have pushed Gavins back, however, and the SAM spot is open – it will be an interesting competition that may not be settled until later in camp. I’ll report more on this later. I’m not as concerned about this group as I was a few weeks ago. The outlook was grim over the winter, however. Since its first season, the Redblacks have fielded a very strong secondary. And every season, the team has had to face the loss of key players. To its credit, the team has been able to keep the shelves stocked. The secondary was looking pretty bare after Hightower and Kanneh left, but its quite possible that Marcel Desjardins and team have successfully managed to re-load the secondary. 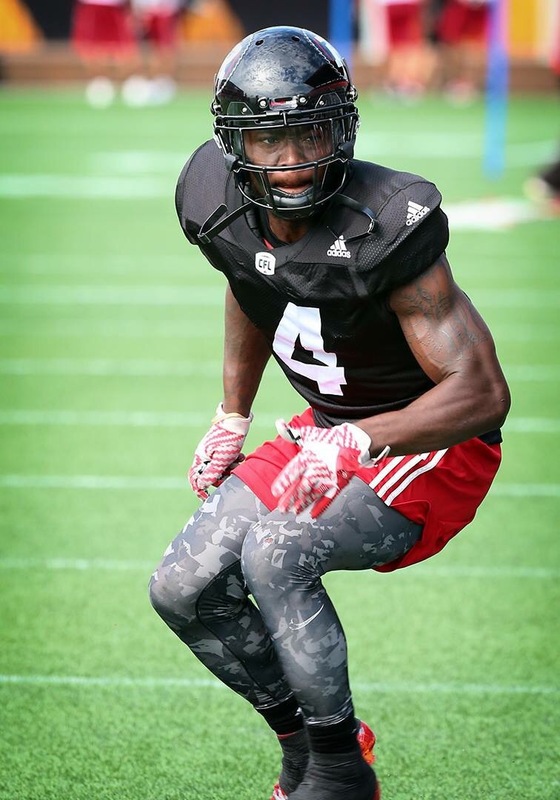 The leader this year is Gavins (wearing #4 this year, by the way), now a team veteran who has grown in his time with the Redblacks. He played SAM LB last year and did it well, but this season there are too many gaping holes in the secondary to keep him in that role. Rose is one of the players who came in to replace the original group of departees, and he has been a strong CB for the past 1.5 seasons. Pruneau is back at his natural Free Safety slot, which he took on last season. Pruneau should continue to thrive there. Jefferson, who was signed as a free agent from the Argos, will start and it sounds like returning depth player Imoan Claiborne has an inside shot at starting, while it may be hard to keep NFL veteran Arenas from the open cornerback position. This is assuming he can adapt to the motion and “hands off” CFL rules. A depth player or two with upside will also emerge at camp – they always do. Look for an offensive preview tomorrow and don’t forget to follow me on Twitter at @CrankyClair.